With Sochi being touted the “Viral Games,” it’s no surprise that companies are also trying to join in on the Olympic fun. The challenge? Unless you’re an official sponsor, the trademark regulations are extremely strict, so companies need to proceed with caution. Here are three examples of companies – some official sponsors, some not – who have successfully made an impact around the Olympics with smart social media marketing tactics. Want a free beer at the Canada Olympic House in Sochi? It’s only a passport scan away – but there’s a catch. 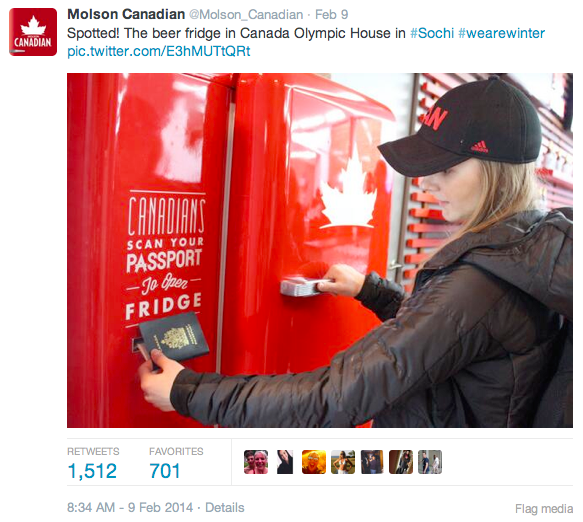 The cheerful red fridge only works with a Canadian passport and reportedly will have 58,000 beers to serve at Sochi. Shared across Molson Canadian’s social media channels, the tweet alone has generated 1,500+ RTs and over 700 favorites. This is not the first time Molson Canadian has used its Beer Fridge as part of live event activation, but this move has been especially well-received for its clever use of technology. As an official supporter of Team Canada, the activation is perfectly focused and promotes social sharing, both from the free beer and the vibrant red fridge. Well played, Molson Canadian! You’ve seen the #SochiProblems tweets. If you haven’t, read this article. As the international news media descended upon Sochi, it became clear that not every hotel was ready. From missing door handles, to questionable wiring, comical signs and more, it wasn’t long before #SochiProblems was trending on Twitter. A special Twitter handle has since been created as well. Amid all the griping rose a shining star – Airbnb. Known for its vast quantity of vacation rentals, Airbnb quickly responded and began personally tweeting journalists with recommendations of alternate accommodations. Although it’s not clear if any took Airbnb up on its offer, it is a fantastic example of relevant, helpful real-time marketing. 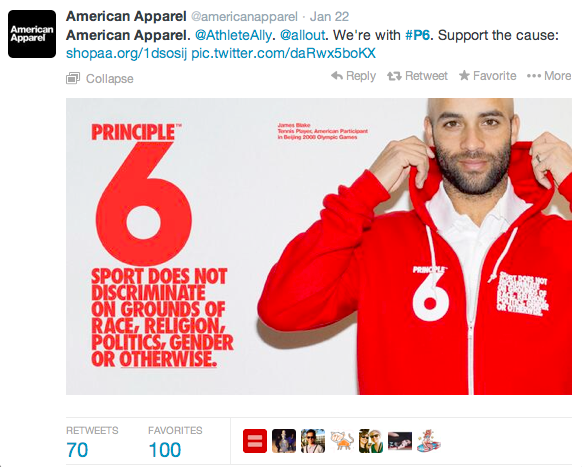 Although America Apparel does not have an official sponsorship of the Sochi Olympics, the company is generating praise for its support of LGBT athletes. Reportedly recruited by activist groups, the company has joined the Principle 6 movement by creating a special line in its honor with language featured on the clothing is from the Olympic charter. American Apparel is also donating proceeds from the line to LGBT groups in Russia. 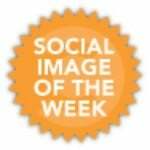 This move has generated a lot of positive praise for the company on social media. By working with a group of influencers, supporters are also helping American Apparel to amplify awareness of the initiative through word-of-mouth recommendations. Have you seen any good examples of Olympic themed social media activation? Share them in a comment below!